Slingshot. 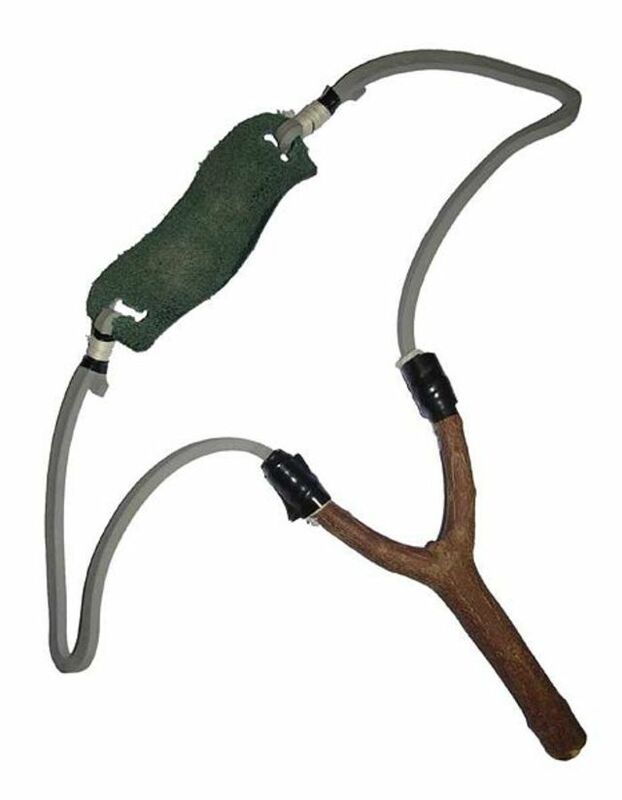 A projectile launching weapon made from a Y-shaped branch or piece of wood and elastic material. They are commonly used to hunt birds and other small game.